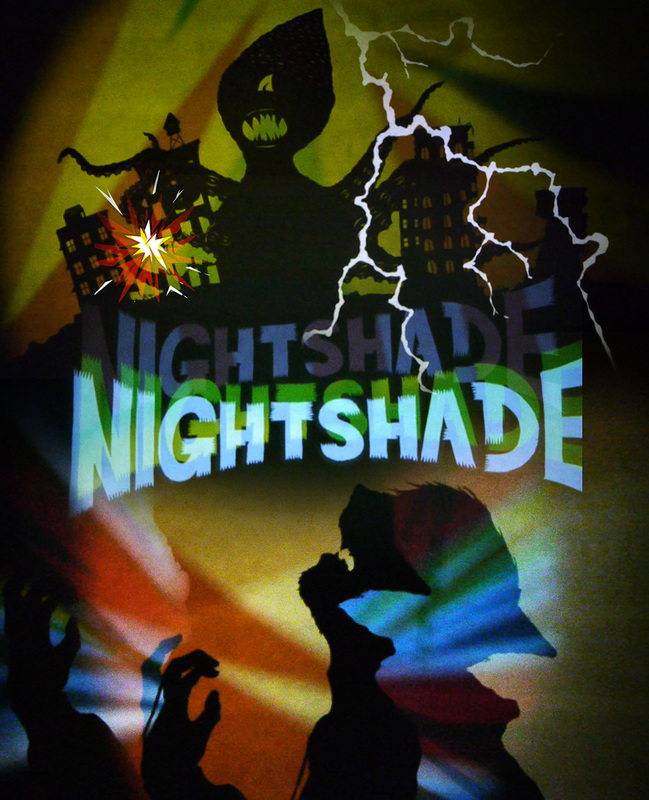 Night Shade is a group of artists rebelling against traditional flat-surface silhouettes and revolutionizing the ancient art of shadow puppetry by using light to manipulate depth and space. This Portland-based art group blends hand-held lights, masks, puppets, composed music, sound-effects, and experimental storytelling into a bewitching form of cinematic puppetry that flows like film. The Hand is the side of the group focused on practical rod puppets and video. Portland 2016, a booming metropolis of shops, restaurants, and bike lanes but unknown to the thousands of newcomers an ancient evil has been lying in wait…to be released! That’s when the HORROR OF THE NIGHT SHADE BEGINS! Night Shade traveled down to New Orleans Giant Puppet Festival; NOLA Fringe; up to Seattle Puppetry Festival; rocked PICA with Japanther; thrice projected at NoPo's DISJECTA; Night Shade opened for party band Golden Triangle; Night Shade opened for post punk band Japanther; produced a show at Liberty Hall in Portland, OR; lit up After Hours - an art show of Laika Artists in PDX; debut at the Voice4Vision Puppetry Festival at Theater for the New City in NYC; haunted Live With Animals art space in Brooklyn, NY; and performed at the 2007 Puppeteers of America National Puppetry Festival.